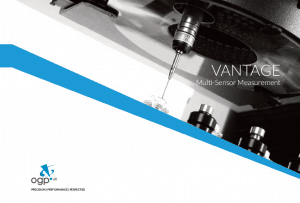 As the ultimate multi-sensor measuring machine for the highest accuracy and maximised throughput, VANTAGE is OGP’s flagship SmartScope® designed to combine a variety of sensors for full three-dimensional measurement. 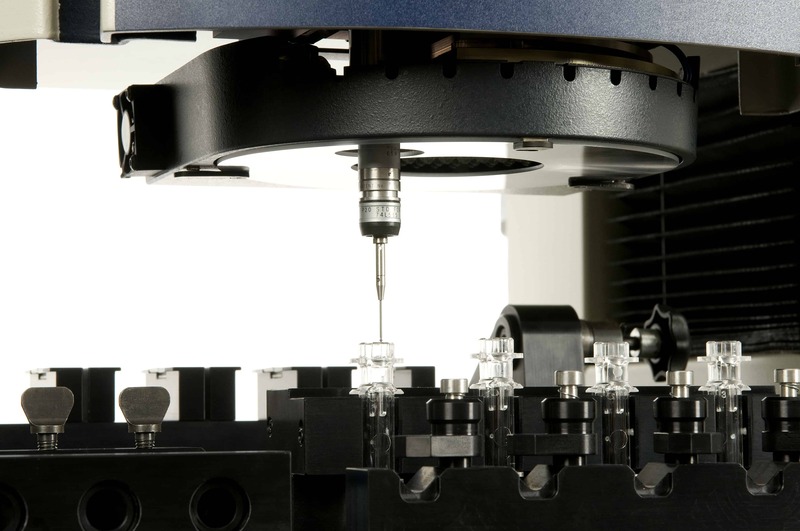 Delivering superior optical performance alongside the highest standards of accuracy, repeatability and speed in measurement operations. Every model in the Vantage family, from the benchtop 250 to the large volume 650, benefits from mechanical design optimised through finite element analysis (FEA) to ensure high accuracy measurement from all sensors. Every Vantage is powered by ZONE3 multi-sensor metrology software. Measurement and analysis in three dimensions throughout the entire measurement volume. Powerful tool simplifies programming to give you a perfect balance between precise capabilities and ease of use. Automation is an important aspect of Vantage. Servo-driven / XY Liquid cooled linear motor drives, move parts and sensors quickly and precisely from feature to feature. Leading edge detection, advanced digital signal processing technology, optimised video algorithms, self-calibrating optics, automatic probe changes, and fully editable measurement routines are productivity enhancing features in every Vantage. 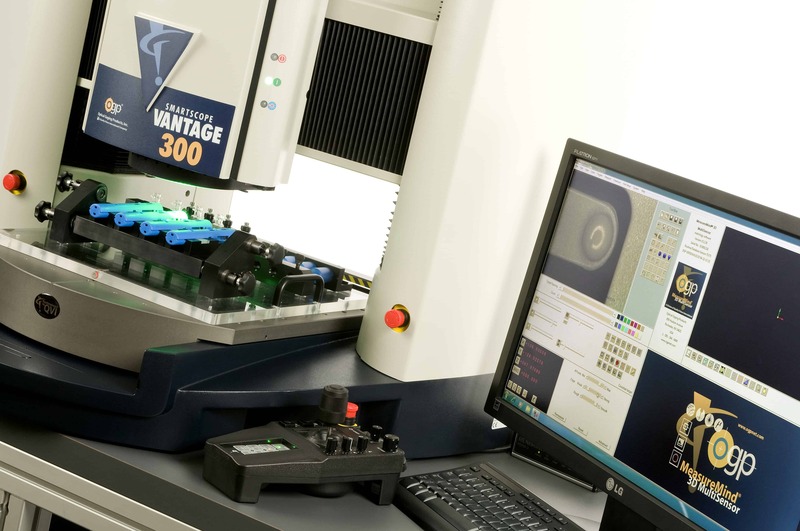 Vantage has the automation and the precision needed for the most demanding parts. A video measurement system comes as standard with the Vantage including zoom Telestar™ optics (quick-change fixed optics are available for Vantage 250). Choose either a high-resolution colour CCD camera, or a progressive scan grayscale camera. An assortment of contact and non-contact sensors is available on all models. Configure Vantage with the sensors needed for your particular requirements. Specifically designed to measure smaller parts, or for situations where space is at a premium. Its rigid structural design provides full access to the measurement volume for fixturing flexibility. 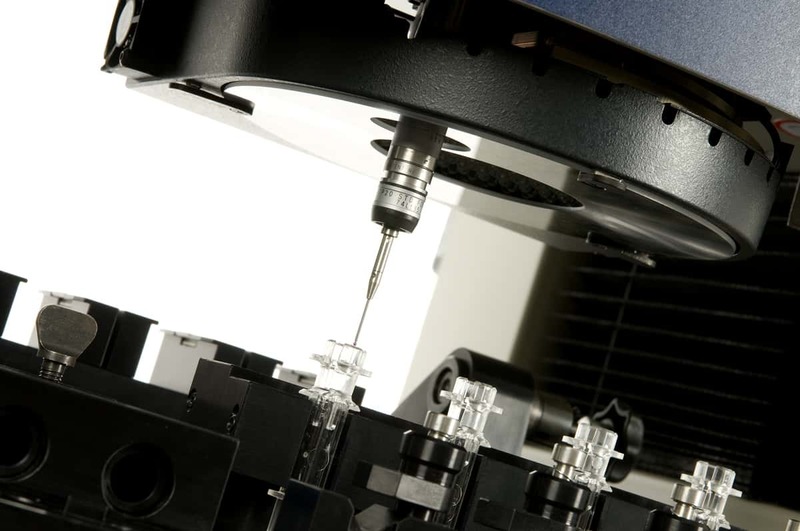 Vantage 300 offers the measurement versatility and accuracy needed for the most critical, demanding parts. With an expansive 300x300x250 mm (12x12x10″) XYZ measurement volume to accommodate large parts, it combines state-of-the-art video and autofocus to deliver high productivity. Add optional TeleStar® telecentric interferometric through-the-lens (TTL) laser, touch probe, or micro-probe to configure a highly capable multi-sensor system. Vantage 450 is an extremely accurate floor stand coordinate measurement system designed to incorporate optical, touch probe, micro-probes, and the patented TeleStar® telecentric TTL laser for versatility and accuracy. This system comes standard with TeleStar® telecentric 10:1 zoom optics for the highest level of optical performance. 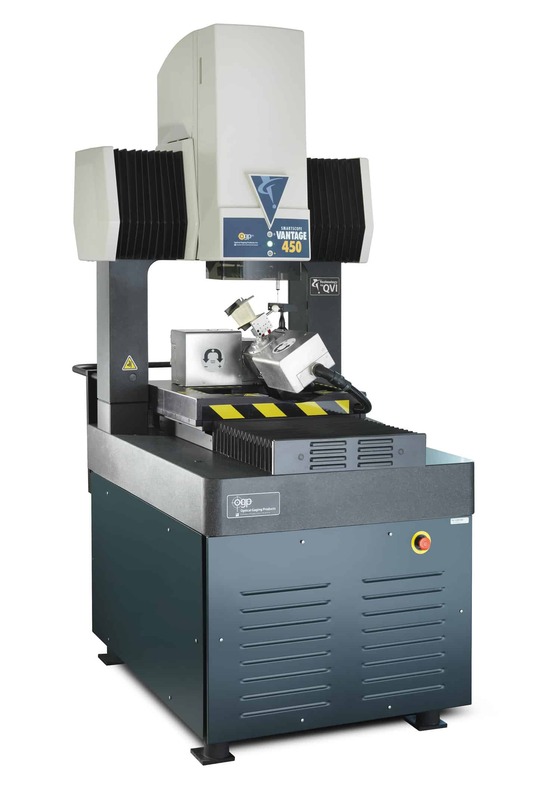 The 450 is designed to measure larger parts, or to accommodate fixtures of multiple parts or rotary indexers. A solid granite bridge design platform rests on a sturdy steel support structure. This yields high-speed stage translation without vibration, maximising measurement throughput. The bridge design limits measured part motion to the Y axis. 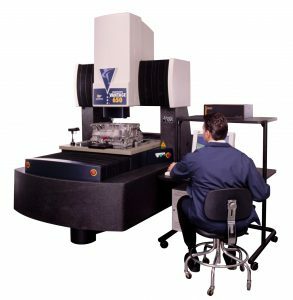 The Vantage 650 offers a large granite base and thermally stable Meehanite® bridge support high performance linear motor drives, providing high throughput and high accuracy simultaneously. This system comes standard with TeleStar® telecentric 10:1 zoom optics for the highest level of optical performance. 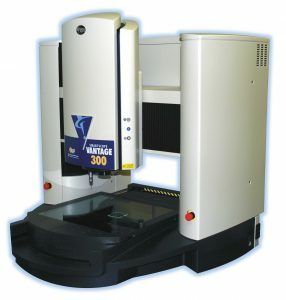 The Vantage 650 provides high accuracy movement of large parts. High-speed linear motors in the X and Y axes move at a rapid 300 mm/sec. XY acceleration of 0.25 g and 200 mm/sec Z-axis speed contribute to high throughput. The Vantage 650 supports touch trigger and scanning probes, patented TeleStar® telecentric TTL laser or DRS off-axis laser, and micro-probes for flexible measurement. 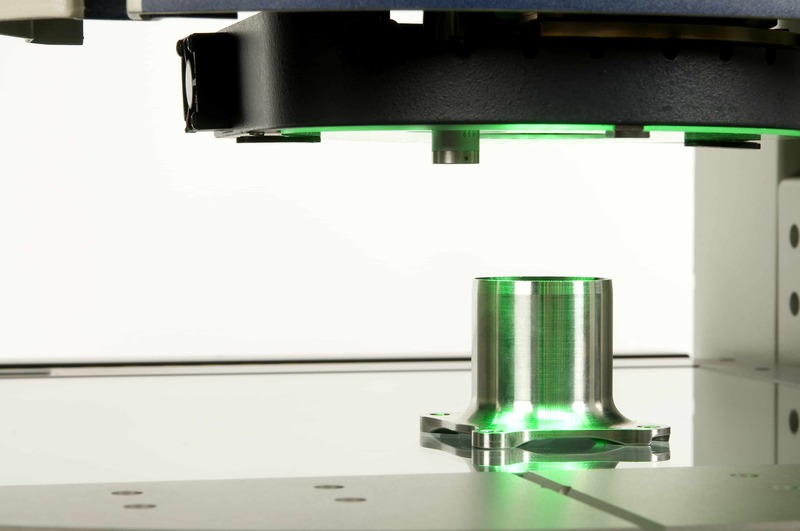 This measurement system takes multi-sensor metrology to the next level with the addition of an optional motorised heavy-duty dual rotary indexer for five-axis measurement capability. The ability to switch between sensors at any point in a measurement routine, the dual rotary option allows the Vantage 650 to automatically measure complex forms like turbine blades, vanes, and air foils. With Z-Axis travel of 400 mm, the Vantage 650 is the perfect system for very large format applications. Vantage 800 is an extremely accurate floor model coordinate measurement system incorporating touch probe, micro-probes, and the patented TeleStar® telecentric TTL laser for versatility and accuracy. The Vantage 800, with its extensive 790 x 815 x 250 mm XYZ measurement volume (and available 300 mm Z axis), is designed to measure very large parts. A solid granite bridge platform rests on a sturdy steel support structure and the bridge design limits measured part motion to the Y axis, offering measurement stability. This system comes standard with TeleStar® telecentric 10:1 zoom optics for the highest level of optical performance. The Vantage 800 is also available with a wide range of contact and non-contact sensors for the ultimate in multi-sensor measurement versatility. 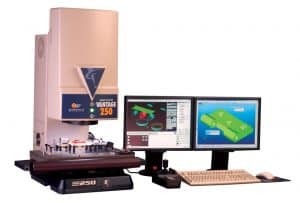 Configured for Renishaw’s advanced probing systems, VANTAGE incorporates unique interfrometric laser scanning technology as well as our patented TeleStar 10:1 zoom lens which is completely telecentric and automatically calibrated throughout its range, eliminating measurement inaccuracies. VANTAGE’s integrated tools empower operators by offering the ability to control dimensional production processes in one advanced high-speed operation.